Work great with all shredders. Sharpening, cleaning and lubricant shredder blades for optimal shredder performance. Easy to use, just like shredding a piece of paper. Made with vegetable oil and recycled paper. Recommended use of a minimum 2 times per month or after 30-minutes shredding cycle to maintain maximum performance. 1. Feed one lubricant sheet directly into shredder feed entrance to shred it just like a piece of paper. 2. After the sheet has been completely shredded, set shredder into reverse for 10 seconds to complete the lubrication process. 3. If shredder feed entrance is wider than this sheet, use additional sheets to ensure the entire blades is covered and therefore lubricated. 4. Then the shredder is ready for use again. Note:Store it in a cool, dry place. It is only for shredder use. Work great with all shredders.Sheet Size: 8 1/2" x 6" . 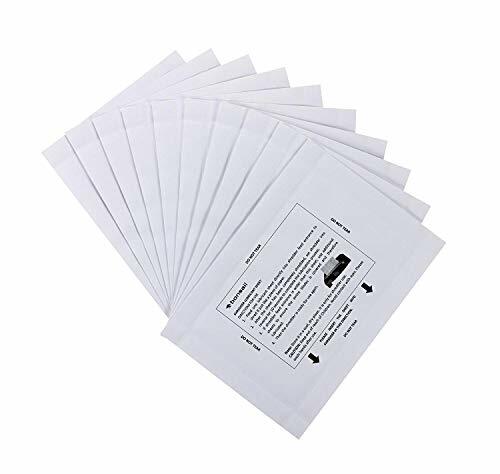 Bonsaii Shredder Lubricant Sheets (15 Pack). If you have any questions about this product by bonsaii, contact us by completing and submitting the form below. If you are looking for a specif part number, please include it with your message.